Flip a coin. 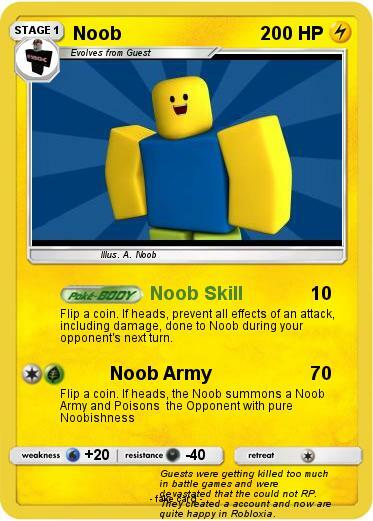 If heads, prevent all effects of an attack, including damage, done to Noob during your opponent's next turn. Comments : Guests were getting killed too much in battle games and were devastated that the could not RP. They created a account and now are quite happy in Robloxia.